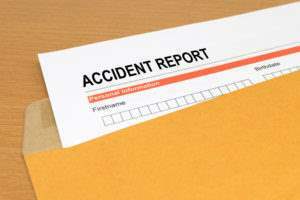 Did You Suffer an Injury at Econo Lodge Due to Employee/Store Negligence? Talk to an attorney today. Econo Lodge is an economy motel chain that is based in the United States and Canada. It is the second-largest motel chain in the system of Choice Hotels. With 830 Econo Lodge hotels in the U.S. and 28 under construction as well as 84 hotels internationally and four under construction, Econo Lodge hotels attract thousands of customers each day. Due to its high volume of customers, hotel employees may often overlook spills and slippery substances that can cause guests to slip, trip and fall. Employees of Econo Lodge have a responsibility to ensure the safety of their guests while they are on the hotel’s premises. If you suffered an injury while you were a guest at Econo Lodge, call Chalik & Chalik Law Offices at 855-529-0269 for a free consultation with an attorney. What Kind of Injuries Have Econo Lodge Guests Sustained? Most slip and fall accidents at Econo Lodge do not result in severe or life-threatening injuries. However, sometimes serious injuries can occur due to an icy parking lot, cleaning carts left in hotel hallways and corridors, ripped or frayed carpeting, or ice machines in vending areas that leak and cause water to collect on the floor. If you sustained serious injuries because of dangerous conditions at Econo Lodge caused by the negligence of hotel employees, you may have a cause of action against Econo Lodge to obtain compensation for your injury and to aid in your recovery. Do not sign anything from Econo Lodge hotel management or anyone representing them, including their attorneys and insurance company representatives until you have spoken with an attorney. Do not file a claim against them on your own. Call Chalik & Chalik Law Offices, and have an experienced personal injury attorney represent you.